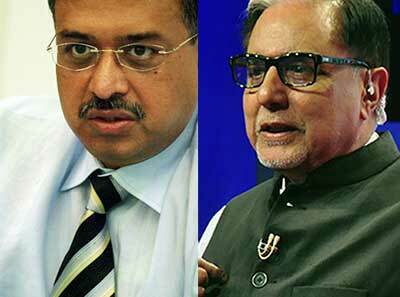 Dilip Shanghvi, Subhash Chandra in list to become the next oil and gas barons. The auction of small and marginal oil blocks has thrown up new names of those who have joined the race to become next oil and gas baron in the country. The elite list starts from the second richest man the country, Dilip Shanghvi, and media tycoon Subhash Chandra, among others. Shanghvi, the founder of Sun Pharmaceutical, has entered the fray through Sun Petrochemicals, in which he has personal investment. Chandra joined the bidding through Essel Group Middle East. He had earlier picked up 23 per cent stake in Suzlon Energy for an equity investment of Rs 1,800 crore, giving the stressed wind turbine maker a fresh dose of fund infusion. Sun has shown interest in seven fields -- five in Gujarat and two in Mumbai offshore. The Essel Group has put its bid on two fields in Assam and one in Gujarat. “This has given a fresh life to the sector and these new entrants will help in improving the production of the country as well as they have a point to prove. However, as far as production sharing contract (PSC)-related issues are concerned, including extension of PSCs, the government should be more lenient and clearances should be time bound,” said Dhaval Joshi, research analyst at Emkay Global Financial Services. According to sources, the Directorate General of Hydrocarbons will evaluate the technical bid submitted by the companies in next 20 days and will then initiate the financial bidding process. In the current round, more than 30 new companies have placed their bids, including Megha Engineering, Quippo, Gem Laboratories, Nippon Power, Invenire Energy, Ramayana Ispat, Oilmax Energy, Duggar Fiber, Mahindra Infrastructure, Akhil Teja Natural Resources, Gopalka Savings, Worldwide Oilfield and BDN Enterprises, among others, also placed their bids. According to industry experts, even if these companies don’t win blocks, the presence of these business tycoons itself made the bidding round important. On Monday, 42 firms placed a total of 134 bids for 34 contract areas out of 46 total areas on offer, which covered more than 70 per cent of the contract area that went under the hammer. Mahindra Infrastructure has also shown interest in four contract areas in Assam and one in Gujarat during the auction that happened on Monday. A Mahindra group spokesperson, however, said though it has a company by the name of Mahindra Infrastructure, the group has not participated in the bidding. According to sources close to the development, Shanghvi was personally monitoring Sun Petrochemicals, which is fully owned by him. For this, the pharma baron created two teams -- a technical team consisting of experts in the sector and an economic team. At first, the technical team evaluated the 46 contract areas on offer and zeroed in on 20 assets going through the preliminary data. Later, it evaluated the technical data provided by the DGH and finalised 10 areas. Image: Dilip Shanghvi, Subhash Chandra.